SEPANG (June 21): AirAsia Bhd will continue to engage Malaysia Airports Holdings Bhd on Kuala Lumpur International Airport 2's (klia2) ponding and check-in system. AirAsia chief executive officer Aireen Omar said this at a press conference on klia2 here today. 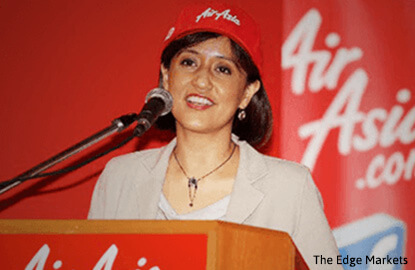 "We will continue to engage and work with them (Malaysia Airports) relating to these issues," Aireen said. At 12:30pm, AirAsia shares fell two sen or 0.8% to settle at RM2.51 for a market value of RM6.99 billion. The stock saw some six million shares done.